We fully believe that play-based learning is the best way to teach your young children. As we write about in our book, The Undeniable Power of Play, we really encourage you to set up fun activities to let your child explore and develop through play. 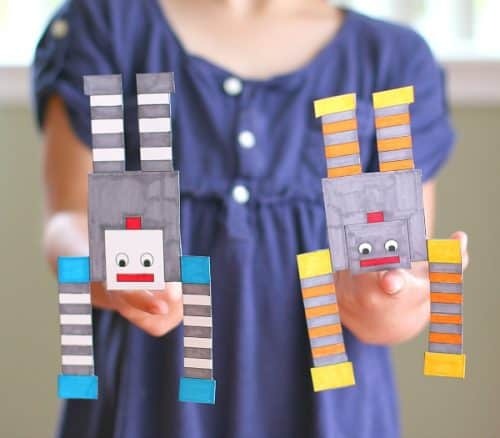 We have gathered some great Robot Crafts & Activities for your to try out! So what are you waiting for? Find a way to have some Fun With Robots this week! Take some pictures and share with us either on Instagram using the hashtag #PowerOfPlay52 or in our Facebook group! 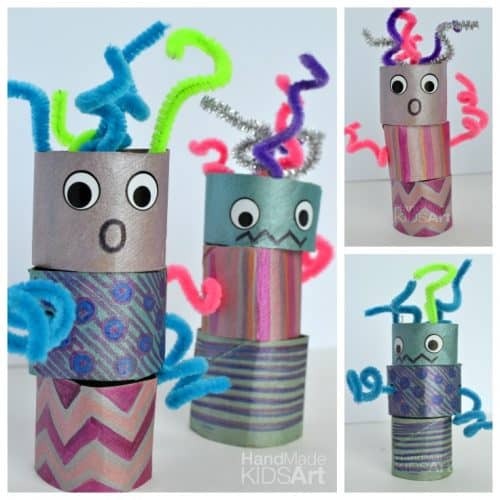 Check out all of the fun tips and tricks to make these little fun stackable robots! Perfect for hand-eye coordination for your kiddos. There are endless combinations to check out in this post. 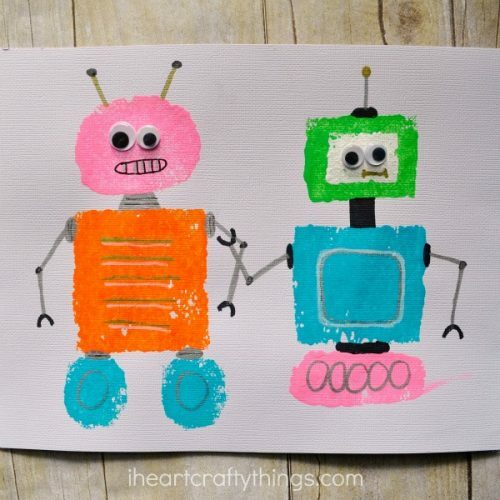 These robots will bring out your little one’s creative side. Check out all of the fun things she used to make this one of a kind creation. Perfect for inspiring some imaginative play! 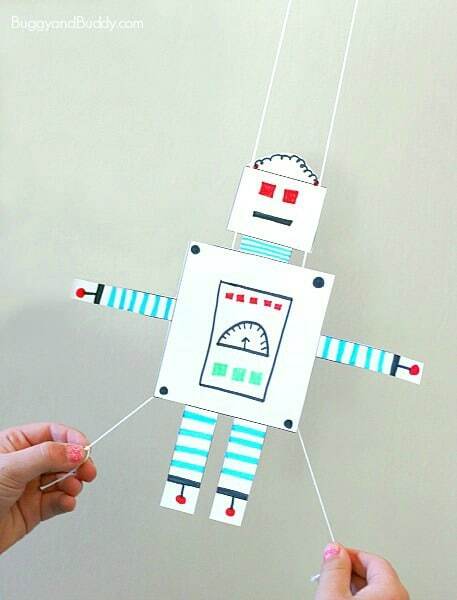 Make your robot fly using this cute printable and these great step-by-step instructions. This one is sure to entertain all ages! 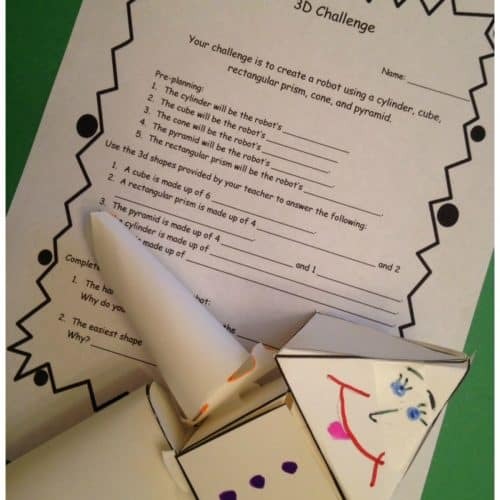 Do you think you could balance a paper robot? You have to check out how! See how many places or things you can get yours to stay on. You can print off all of these fun gears and buttons. 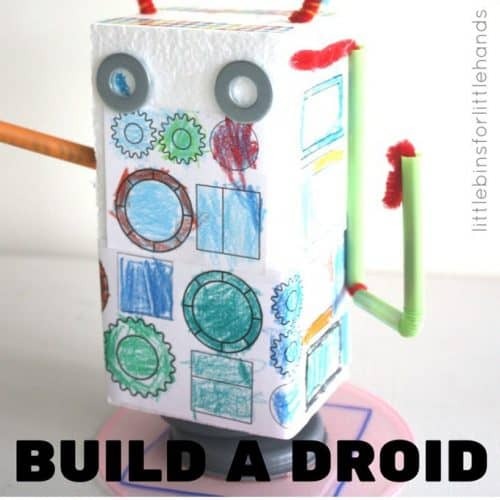 Turn any box into a fun little droid! If your little one likes Lego, like mine does, these coloring sheets are a must! 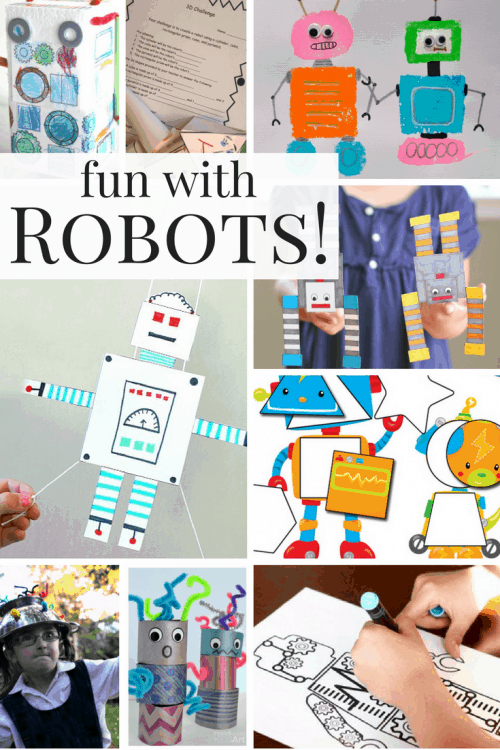 Grab yours and see what kind of colorful robot designs your little ones can come up with! This printable is great for your younger kiddos that might not have great coloring skills yet. 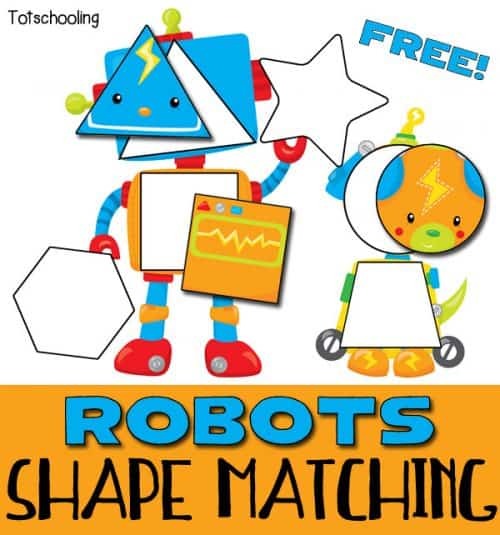 Putting together these robots will be a fun way to talk about shapes and have some fun! 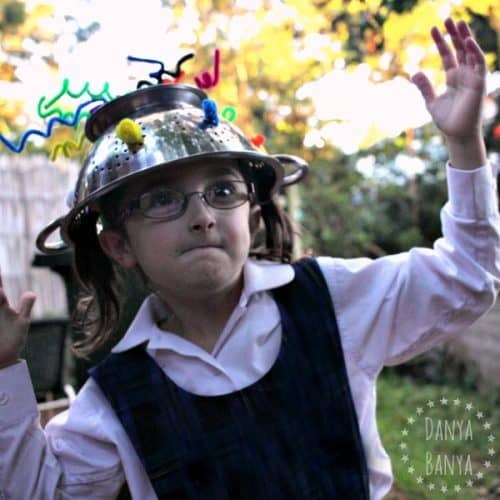 Join our Facebook Group The Undeniable Power of Play for more play-based learning inspiration. SPIDERS – Over 70 ideas!! Awesome! Now I have some fun ideas to follow this week’s prompt! !